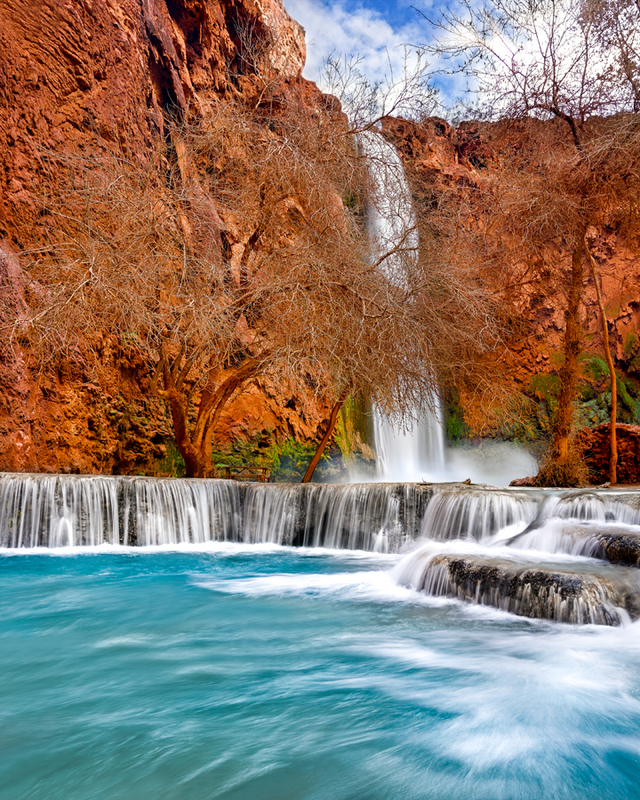 At Havasupai you can count on two things: blue water and getting wet. Here, I got both. I set up my tripod in the water so that I could capture this scene.